I have been exploring data as part of work and hobby for a long time. My process mostly involves clean up, analyze and visualize. Something that has always interested me but never gotten around to experiment was recommendations. I have done some rudimentary recommendations but never deep dive into it. Never explored machine learning to enhance it. But in last few months it has changed. 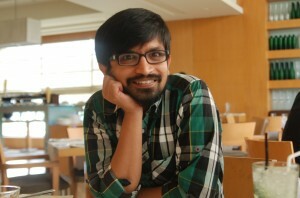 I have explored few algorithms, frameworks. Once I got comfortable with that part, my immediate next challenge was deployment. How would I deploy such a system? Since my main programming language was Python, the system needs to accommodate it. Also I wanted a setup that could be deployed for a medium scale system to a reasonably huge system. SystemML was created to run on platforms meant to scale. 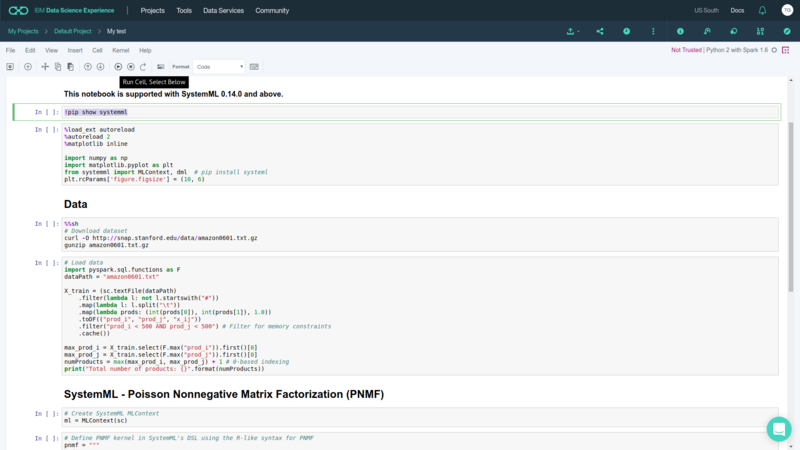 Algorithms written in SysteMML be run on Hadoop, on Spark without change. I really like Apache Spark. #Type in expressions to have them evaluated. #Type :help for more information. Apache Spark can be used through python API called pySpark. It’s the way most Pythonistats use Spark. Another great tool used by data scientsts is Jupyter notebooks. PySpark integrates very well with Jupyter notebooks. That means you can code into SystemML (pyDML) in jupyter notebook and scale using the Apache Spark. That brings everything we dream together right? Restart the pyspark which should start the Juypter Notebook in the browser so you can use it. Now create your algorithm in SystemML (pyDML) on Jupyter Notebooks. Run it on Spark when you are ready. You can run the one like this locally. Jupyter Notebook is my way of using SystemML+Spark on local computer. But if you are a data scientist and want to get productive instantly then best way would be to use IBM Data Science Experience. Once you create the account, open the default project (if there is no default project create one) and then create a notebook. Create a new Jupyter Notebook. 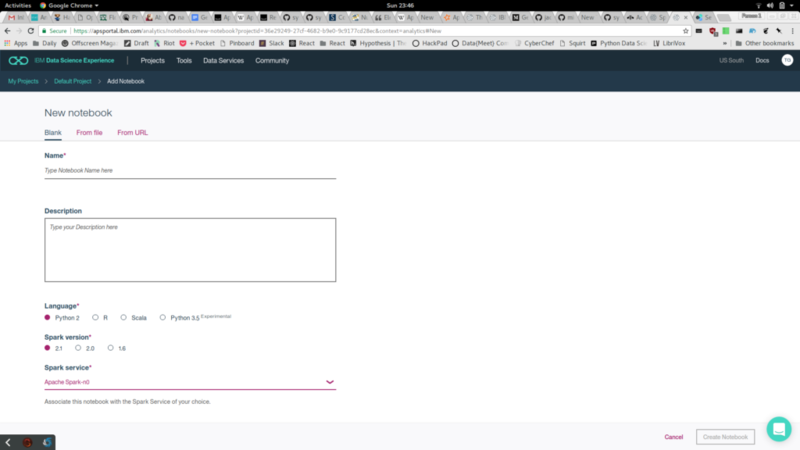 While you are creating the project select Python and Instance of Spark. 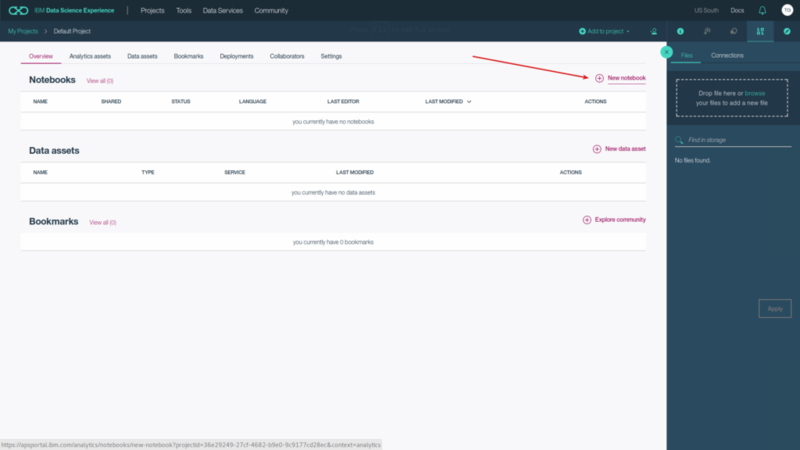 You can create a free lite instance of Spark on IBM Bluemix. Once you click on the create, the notebook gets created and gets linked to Spark. Select an instance of Spark to be associated with this NoteBook. The you can start using SystemML by importing the SystemML package. Now you are running code written in SystemML using Jupyter Notebook on Apache Spark. Once your algorithm is complete, you can schedule the notebook as a job. What could be easier than this?